What is CDE Event ? A Cable Discharge Event (CDE) is electrostatic discharge(s) between metal of a cable connector and the mating cable connector or plug. It is very common in daily life. When CDE happens, transient high current and high voltage pulses are generated into the connector pins and cause potential damage to the system with connector. The pulse characteristic is determined by the cable type, cable length, physical arrangement of the cable and system with connector, and system with connector side circuitry. 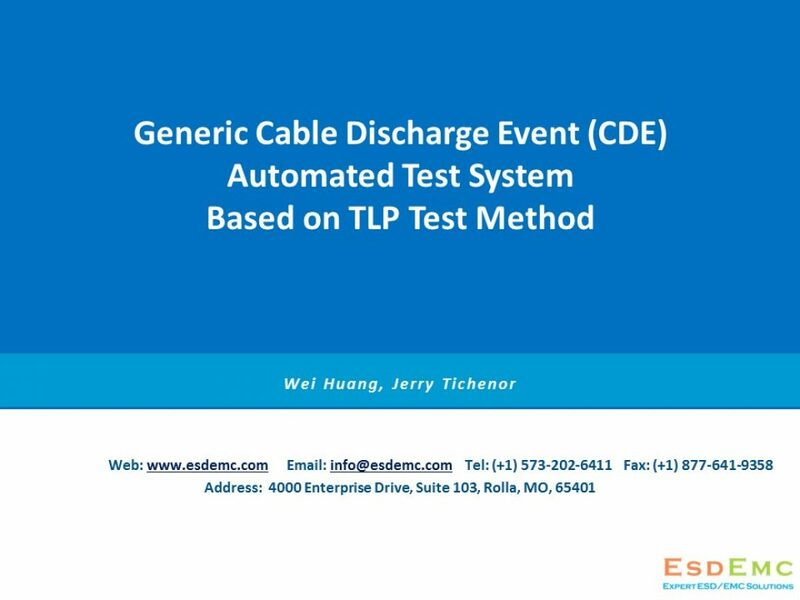 As a pioneer and expert of Cable Electrostatic Discharge (ESD) solution provider, ESDEMC has been releasing several new Cable Discharge Event (CDE) Automated Systems in the past 3 years. Lately, we would like to introduce our latest generic CDE system based on out latest TLP-MUX development. MUX stands for Multiplexer, it allows many devices to be automatically tested with our ES62X series TLP system (our first TLP-MUX design works up to 32 devices). This allows the ESD reliability of different cable interconnection designs, such as the ESD reliability of USB, HDMI, VGA, DVI etc…, to be evaluated with detailed data analysis.